One of the reasons why law firms are a good fit with IT consultants is that law firms generate and compile large amounts of data. A managed service provider (MSP) that is knowledgeable of regulations such as HIPAA can keep the business efficient by coming up with various storage solutions. Less critical data can be stored on cheap cloud servers whereas the most critical data should use more state-of-the-art solutions such as virtualization. A big part of what an IT team does is make sure all data is well-protected with plenty of fresh backups. Not only does an MSP make sure that data can be easily analyzed, the firm must also use the most effective and up-to-date security measures. Hackers prey upon older systems in which vulnerabilities have been exposed and software upgrades have expired. Your MSP will become familiar with your infrastructure through system analysis and will be able to detect vulnerabilities before they allow for cyberattacks. Legal professionals can cut technology costs by outsourcing IT services in Boca Raton and using certain cloud services. Part of the role of an IT consultant is to figure out ways to reduce redundant task and increase productivity, which can often be accomplished with automation software. Hiring your own in-house IT team may work if you can afford it. But for many small businesses, the more affordable solution in the big picture is to outsource to a pool of IT experts who cover a broad range of knowledge. The most proactive IT experts stay up-to-date on technology trends and are able to integrate cost-cutting solutions into their models. 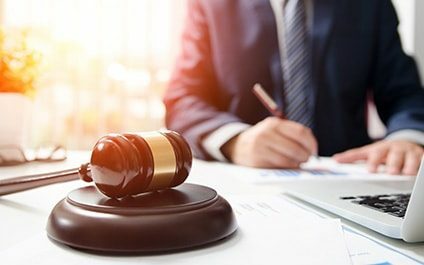 The reason lawyers are better off working with a modern MSP is that technology is constantly changing, and many solutions get replaced every five years. So instead of investing in a finite technology, you're really investing in expertise to help guide you through technological changes. Electronic case management has helped move the legal profession toward a more convenient workplace for searching for, distributing, editing, tracking and archiving documents. Streamlining technology is one of the many great benefits that IT services in Boca Raton can provide a law firm and many other industries. Contact us at Nexxen Technologies, Inc. to learn more about how we can make your data more private and your business more successful.